UCD pulled off a dramatic late comeback to inflict a fifth defeat of the season on misfiring Cork City. A howler from goalkeeper Mark McNulty and a last-minute penalty conspired to sink the 2017 double winners after Garry Comerford had been shown a straight red card. It had all looked rosy for the visitors in challenging conditions at the UCD Bowl when Sean McLoughlin stabbed them into a first-half lead. The defender took advantage of UCD keeper Conor Kearns’ uncertainty to turn Shane Griffin’s inswinging corner home from five yards. It was the first moment of real goalmouth action in a half that, until then, saw its most entertaining moment when the stadium announcer requested the driver of the Cork team bus go to the main gate. That announcement was greeted with cheers and chants of ‘park the bus’ from the home fans, and that’s exactly what City did in a second-half dominated by the Students. Collie O’Neill’s side had little to show for it as City defended deep and diligently, but a wild lunge by Comerford on Ireland under-21 star Neil Farrugia left referee Ben Connolly with no option. 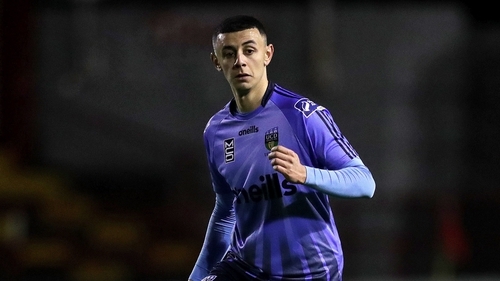 UCD poured forward in numbers and got their reward five minutes from time when Yoyo Mahdy’s volley was spilled into his own net by the hapless McNulty. And captain Gary O’Neill completed the turnaround in injury time, shooting home from the spot after being felled in the box by McLoughlin. UCD: Kearns; Tobin, Scales, Collins, Dignam (Davis 82); O'Neill, Doyle, Molloy (O’Farrell 72); Farrugia, McClelland (McDonald 46), Mahdy. Cork City: McNulty; Boylan (Crowley 46), McLoughlin, Casey, McCarthy, Griffin; Comerford, Morrissey Buckley; Tilley (Smith 89), Cummins (Gillam 54).